The youth is the time of life where in there is unbound energy that is trying to erupt from within to find a purpose for itself. This energy, if put into right use can change the entire direction of a person’s life. The youth of the 21st century is at a unique standpoint where in materialism, culture, technology, right-wing ideologies and headless politics criss-cross it’s path, making it vulnerable. By being bombarded with choices from all directions, right from choosing what brand of tooth paste to use to which is the safest God to worship during the exams, the youth of today is a confused lot. 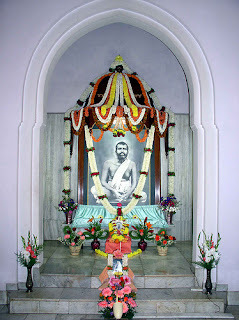 It is here, even after 150 years of them being told, Sri Ramakrishna’s teachings stand relevant. Not because they are highly philosophical and intellectual but because for their simplicity. Guru Maharaj’s unique ability to convey the message in its simplest sense makes him dear to the heart. In an era where people believed that spirituality is for the saints, Guru Maharaj brought it to the masses. Among his many profound messages, for me what appeals the most is - “As long as I live so do I learn”. In an era where we think talent incubation, engagement and skill development is a new concept, it is heartening to notice that Sri Ramakrishna had taught it centuries ago in his inimitable style. 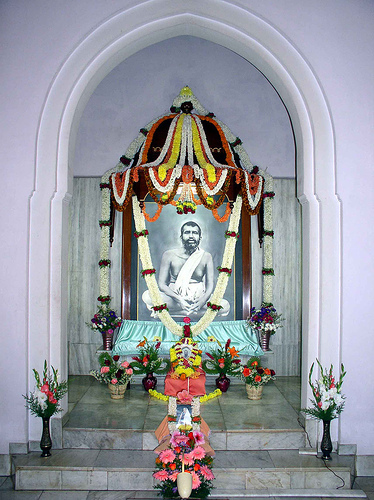 Sri Ramakrishna always preached what he practiced. Before telling, all religious faiths lead to the same God, he practiced different religions, himself. He is the Sarwa Dharma Samanvayacharya in the truest sense. What more inspiration does a young mind need to achieve his goals and be a good citizen of the world? This write-up was published in Vedanta Kesari as part of the special issue December 2011- 'Joy of Spirituality'. You can read the magazine here. This article appears on page 577.